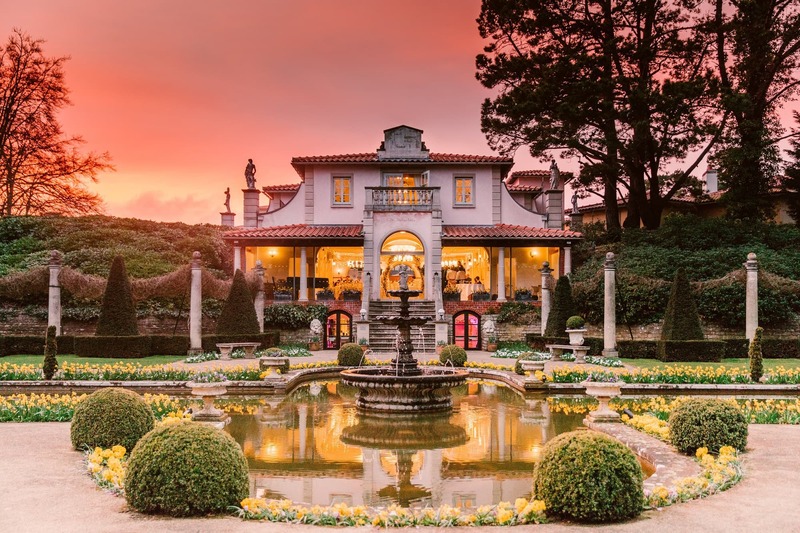 Priding ourselves as one of the best Bournemouth wedding venues, The Italian Villa has hosted a huge number of wedding ceremonies. Whilst each day is a unique celebration, over the years we’ve come to understand some of the common factors that make weddings truly memorable occasions. Much of this is down to wedding planning, it’s rarely the events on the day that affect how you come to view your wedding in hindsight. Rather, it’s the wedding choices you make in advance that ultimately define how you feel. We understand how important your wedding day is and appreciate how hard it can be to manage every element of your special day. The Italian Villa offers a variety of bespoke wedding packages to make your dream wedding a reality. Your wedding should be one of the best days of your life. You’ll start with a desire for the ideal wedding venue, the most mouth-watering wedding caterer, the perfect wedding photographer and so on. It’s natural to want the best of everything, but what can be realistically achieved will inevitably mean you have to make some compromises somewhere. For example, your dream wedding photographer may not be available on your chosen date or you might realise that your budget won’t stretch to inviting every wedding guest you’d ideally like to be there. One certainty is that you won’t be able to please everyone. So make sure you plan and arrange the wedding which suits your vision of your perfect day. The number of beautiful wedding venues in Dorset means that choosing your dream location can feel overwhelming with so many different criteria to consider and even the most organised person can find planning the dream wedding daunting. You’ll naturally have an idea of the type and style of wedding you want. Those wedding ideas may evolve as you start researching and we believe it’s healthy to allow that process to happen. Undoubtedly, friends and family may try to give you input for planning the dream wedding. How you accept or reject that is something it’s important to manage positively. Retaining control of your day is paramount, otherwise, the stress can detract from your enjoyment of the wedding planning process. You really should try and enjoy it! As one of the top Bournemouth wedding venues we’ve faced all the challenges that come with wedding planning many times. Making that the process is as stress-free as possible is a big part of what we do. So, we’ve compiled a list of the top 5 wedding mistakes to avoid so you can relax and enjoy making perfect memories on your big day. Weddings are inevitably expensive and one of the biggest mistakes you can make is not setting a budget. From wedding caterers to photographers and florists to hiring a wedding venue, the costs soon begin to mount up. First, you’ll want to get an idea of overall cost, then set a wedding budget. Once set, try to stick to it. It’s much less stressful to adjust the scope of your big day to your wedding budget than vice versa. The wedding budget is there for a reason. Your task is to prioritise spending it according to the things that are truly valuable to you. If you can maintain that focus, you’ll be able to afford your dream wedding day without financial regret later. Having your nearest and dearest friends and family with you to celebrate is the most important element of a wedding. Sometimes with Bournemouth wedding venues choosing is a compromise between quality and quantity. The wedding venue with the perfect feel might require you to adjust your guest numbers due to capacity or price. Set a firm list of wedding guests who you absolutely must share the day with. You’ve then got a good starting point to judge your requirements. Discuss this with your family and manage their expectations to avoid leaving anyone in the dark about what is feasible. Ultimately, no matter how much you want to invite everyone, sometimes the reality is you can’t. Once you have an idea of how many guests you can research the best wedding venue for you. Many Bournemouth wedding venues also offer additional numbers for the evening, so you may well be able to invite extra guests to the evening wedding reception celebration. Your wedding day should be special so don’t just settle on the first venue you see. Being a convenient location or having a huge capacity aren’t necessarily the criteria that make for the perfect wedding atmosphere. It can often take several visits to different wedding venues to be able to make the right comparison between them. This is time worth spending, get a feel for what will work for you. The cost of hiring a wedding venue, the number of guests you’re allowed, or other limitations such as a noise curfew can make a crucial difference in allowing you to have the wedding ceremony you really want. If you’re planning your wedding well in advance you should have plenty of choices. There are many beautiful wedding venues to hire in Bournemouth which can cater to your size and style of wedding. Taking time to make the right choice will put your mind at ease and you can concentrate on other elements. There’s no other day of your life where you are so much the centre of attention as at your wedding. Naturally, you’ll want to look your absolute best. For brides, hair and make-up on your wedding day is an important part of the preparation. Not forgetting you grooms, but you know what we mean! Creating your ideal look can be a hard thing to visualise, let alone communicate to someone else. So, we’d recommend, when booking your bridal hair and make-up, to make sure you also get a trial run included. This will allow you and your bridesmaids to pick a style that suits you all and complements your wedding attire. You’ll also get an idea of timings for the wedding day, ensuring you make the most of the pre-ceremony pampering! Here’s an important tip to remember: The things you worry about going wrong before your wedding and the things you regret afterward if they do go wrong are not the same. Wedding planning is all about crafting every little detail of a day. But neither you nor your guests will ever remember a small detail that was wasn’t how you pictured. Once you’re caught up in the emotion and magic of your wedding day you most likely won’t even notice. What you will remember is anything that wasn’t true to yourself. Don’t create an occasion that isn’t you. Don’t make it anything you don’t want it to be out of duty. Your guests are primarily there because of you, they want to share what you value with you. So, don’t get caught up in the stress of achieving perfection. Just plan a wedding that you feel proud to call yours. After all, it’s just the beginning! Looking to plan your dream wedding at one of the best Bournemouth wedding venues? Please do get in touch! You can call our team on 01202 816074 or email info@the-italian-villa.co.uk to speak to our friendly, professional team.